Joining other big retailers looking to thwart Amazon’s grocery expansion, Albertsons Cos. has signed a three-year agreement to make Microsoft Azure its preferred cloud computing platform. Microsoft Corp. and Albertsons confirmed the deal on Friday after Anuj Dhanda, chief information officer at the Boise, Idaho-based supermarket company discussed the partnership in an interview with CNBC. Though still running some of its own data center infrastructure, Albertsons aims to significantly expand its implementation of Microsoft’s Azure, which already had been used for certain workloads, Dhanda (left) told CNBC. The retailer also plans to have employees subscribe to the Microsoft 365 office/productivity software service. 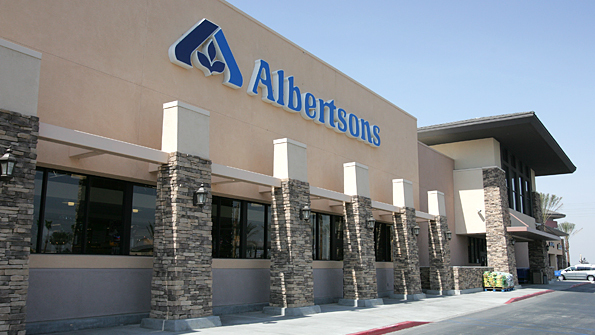 Albertsons, which has been a Microsoft Windows and Office user, decided to go with Azure because of Microsoft’s technology prowess and track record with enterprise-level projects and large retailers, according to Dhanda. Another reason for teaming up with Microsoft was that it’s not a competitor, he said in the CNBC report, referring to Whole Foods Market parent Amazon.com Inc. and its fast-growing Amazon Web Services (AWS) tech services arm. He noted that Amazon’s rapid expansion into retail grocery has spurred Albertsons to upgrade its IT infrastructure and shopping experience. Besides ramping up use of Azure — including for the rollout of a mobile app that lets customers pump and pay for fuel — Albertsons aims to leverage Microsoft artificial intelligence (AI) technology and could work with the company on checkout-free payment in stores, Dhanda told CNBC. The retailer had said during an investor presentation in May that it was testing cashierless, Amazon Go-like technology. Overall, Albertons Cos. operates almost 2,300 stores in 35 states and the District of Columbia, spanning more than 20 retail grocery banners, including Albertsons, Safeway, Vons and Jewel-Osco. Recently, Microsoft has drawn several major food, drug and mass retailers to its cloud platform. Earlier this month, the company unveiled a partnership with The Kroger Co. to jointly develop and market a retail-as-a-service (RaaS) product for the retail industry. Plans call for the Azure-based solution to be piloted at a Kroger store in Monroe, Ohio, and a QFC store in Redmond, Wash.
And last week, Microsoft and Walgreens Boots Alliance (WBA) announced a seven-year partnership to develop new delivery models, technology and retail innovations to improve health care. This year, Walgreens is slated to pilot up to 12 store-within-a-store “digital health corners” to merchandise and sell health care-related hardware and devices. WBA also agreed to migrate most of its IT infrastructure to Azure — including new retail, pharmacy and business services platforms and data and analytics capabilities — as well as use Microsoft’s AI technology and 365 services. Walmart named Microsoft as its preferred and strategic cloud partner in mid-July. The five-year pact calls for the retail giant to roll out Microsoft’s cloud solutions for customer-facing services and internal business applications, including Azure and Microsoft 365. The initiative also includes migrating much of Walmart.com and SamsClub.com to Azure, the companies said, adding that cloud-powered checkout will enable Walmart to grow with rising customer demand and reach more global markets.